Fifteen students at The Westfield School have earned Advanced Placement (AP) Scholar Awards in recognition of their exceptional achievement on the 2018 AP Exams. Westfield seniors Andrew Collins and Dalton James were recognized as AP Scholars (received scores of 3 or higher on three or more AP Exams). Seniors Alice Culpepper, Olivia Eubanks, and Nate Sizemore were recognized as AP Scholars with Honor (received an average score of at least 3.25 on all AP Exams taken, and scores of 3 or higher on four or more of these exams) by the AP/College Board. The following students in the class of 2018 also received AP Scholar awards for their achievement on the 2018 exams: Caroline Brewer (Georgia Tech), Eve Hardy (Georgia Tech), Jenny Lefholz (Mercer University), Erin McDonald (University of Georgia), Garrett Rozier (University of West Georgia), and Lucy Swearingen (Belmont University). Adam Chalmers (Freed-Hardeman University) and Ellie Knight (University of Georgia) received AP Scholar with Honor awards. Madeline Kinnebrew (University of Georgia) and Cale Parks (University of Georgia) received AP Scholar with Distinction (receives an average score of at least 3.5 on all AP Exams taken, and scores of 3 or higher on five or more of these exams). The following juniors and seniors scored a 5 on an AP exam: Leeanna Allen, Joseph Bourque, Andrew Collins, Alice Culpepper, Olivia Eubanks, Elizabeth Gentry, and Nate Sizemore. The College Board’s Advanced Placement Program® (AP®) provides willing and academically prepared students with the opportunity to take rigorous college-level courses while still in high school, and to earn college credit, advanced placement, or both for successful performance on the AP Exams. About 18 percent of the more than 1.9 million students worldwide who took AP Exams performed at a sufficiently high level to also earn an AP Scholar Award. Through 34 different college-level courses and exams, AP provides willing and academically prepared students with the opportunity to earn college credit or advanced placement and stand out in the college admission process. Each exam is developed by a committee of college and university faculty and AP teachers, ensuring that AP Exams are aligned with the same high standards expected by college faculty at some of the nation’s leading liberal arts and research institutions. More than 3,800 colleges and universities annually receive AP scores. Most four-year colleges in the United States provide credit and/or advanced placement for qualifying exam scores. Research consistently shows that AP students who score a 3 or higher on AP Exams (based on a scale from 1 to 5, with 5 being the highest) typically experience greater academic success in college and have higher college graduation rates than students who do not participate in AP. The College Board is a mission-driven not-for-profit organization that connects students to college success and opportunity. Founded in 1900, the College Board was created to expand access to higher education. Today, the membership association is made up of more than 5,900 of the world’s leading educational institutions and is dedicated to promoting excellence and equity in education. Each year, the College Board helps more than seven million students prepare for a successful transition to college through programs and services in college readiness and college success — including the SAT® and the Advanced Placement Program. The organization also serves the education community through research and advocacy on behalf of students, educators and schools. Congratulations to senior Addie Lee who was crowned as Westfield's 2018 Homecoming Queen! Congratulations also to Glynelle Ellis Beeland, recipient of the 2018 Spirit of Westfield Award, and Ross Tolleson '75, recipient of the 2018 Westfield-Beechwood-Baker Alumni Association Award. Westfield is grateful to these individuals for their dedication, generous support, and service to our school and community. The Westfield School is pleased to award Madelaine Ruth Kinnebrew as the 2018 Valedictorian and Christin Eve Hardy as the 2018 Salutatorian. Madelaine Ruth Kinnebrew is the daughter of Dr. and Mrs. Todd Kinnebrew of Warner Robins. A National Merit Commended Scholar, Madelaine has earned numerous academic excellence awards during her high school career including STAR Student, National AP Scholar, Golden Eagle Award winner, Georgia Governor’s Honors semi-finalist, University of Georgia Certificate of Merit, and 2017 Junior Fellow Scholar. She has received top academic average awards in all subjects during her high school career, and has served as either president or vice president of her class each year. 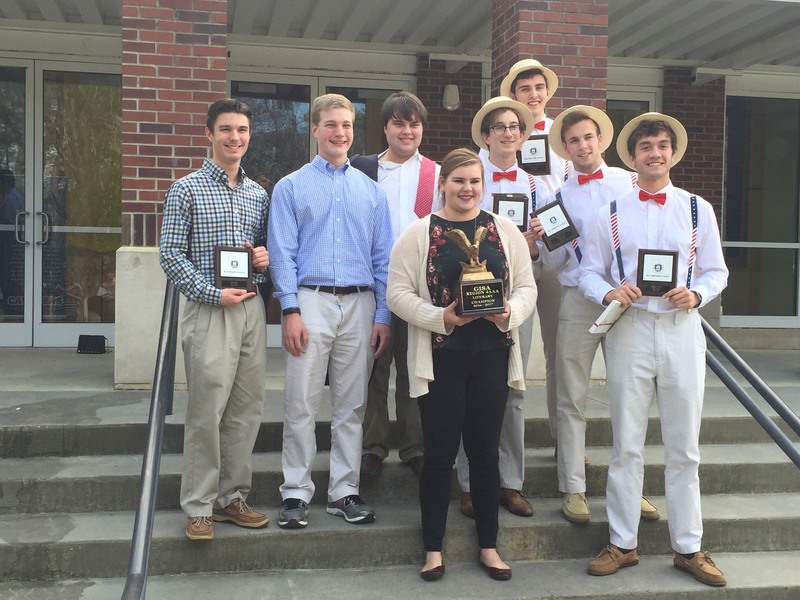 As a member of the region champion literary team, Madelaine earned individual awards in duo oral interpretation. Madelaine has participated in many school activities including Beta Club, Key Club, Tri-Hi-Y Club, Student Council, academic bowl team, one act play, spring musical, chorus, math team, Culinary Arts Club, Foreign Language Club, Homecoming Court representative, and peer tutoring. She has also been involved in various community activities including the Robins Regional Chamber Youth Leadership program and as a volunteer for the CEF Good News Club and the Museum of Aviation. She participated as a summer exchanged student in the Junior Diplomat French International Homestay program and began a French class for children at the Perry Public Library. She is a member of Houston Lake Presbyterian Church where she has been a volunteer in the nursery and involved in the church youth ministry program. Madelaine plans to attend the University of Georgia (Honors Program) as a Charter Scholar. Christin Eve Hardy is the daughter of Mr. and Mrs. Brett Hardy of Perry. Eve has earned many academic awards during her high school career including highest academic average in various subjects, Governor’s Honors Program nominee, Poetry Out Loud, Fellow Scholar Award, and the University of Georgia Certificate of Merit. She participated in the Perry Area Chamber of Commerce Youth Leadership program, as well as the Rotary Youth Leadership program and the Hugh O’Brien Youth Leadership program. She has been involved in one act play and spring musical, in addition to varsity basketball, varsity soccer, and varsity cross country. Eve has participated in numerous school activities including Beta Club, Key Club, Tri-Hi-Y Club, Prayer Club, Fellowship of Christian Athletes, Foreign Language Club, Culinary Arts Club, peer tutoring, chorus, math team, and academic bowl team. As a member of the region championship literary team, Eve was a participant in the girls’ trio that earned region and state awards. She has served as a volunteer for many organizations including the ALS Association, Perry Dogwood Festival, City of Perry Parks, Kings Chapel Elementary School, Mistletoe Market, Perry United Methodist Church Nursery, and the American Heart Association. She is a member of Fellowship Primitive Baptist Church. Eve plans to attend the Georgia Institute of Technology (Georgia Tech). Congratulations to our Literary Team for earning first place in the 2018 GISA AAA Region Literary meet. Congratulations to our One Act cast, crew, and director, Mrs. Kathy Stubbs, upon winning the 2017 GISA 4AAA Region Championship! Their performance of #Viral by Maria McConville will advance to the GISA AAA State Competition on Thursday, November 16th. Congratulations also to Leeanna Allen and Laura Liz Bryan who received Outstanding Performer Awards! As a part of the weekend Homecoming activities, The Westfield School crowned the 2017 Homecoming Queen; and the Board of Trustees and the Westfield-Beechwood-Baker Alumni Association honored service, sacrifice, and devotion to Westfield by presenting the Spirit of Westfield Award and the Alumni Award to two deserving individuals. Westfield senior Miss Emily Bourque was crowned the 2017 Homecoming Queen. She is a high honor student, an All American/All Star Level Five competitive cheerleader, Captain of the Westfield varsity cheerleading squad, member of the Beta Club, and a member of the varsity track team. A member of Perry Presbyterian Church, Emily is the daughter of Mr. and Mrs. Brod Bourque of Warner Robins. The Board of Trustees presented the Spirit of Westfield Award to recognize an individual who has made significant contributions to the school in past and present years. Because of his outstanding service, Mr. Kim Cassell was selected as the 2017 Spirit of Westfield recipient. The Westfield-Beechwood-Baker Alumni Association presented the 2017 Alumni Award in recognition of an alumnus who continues to be immensely supportive of Westfield, in addition to involvement in the community. Because of her faithful service and support, Mrs. Pam Pierce was selected as the 2017 Alumni Award recipient. Through the efforts of individuals such as these honored tonight, Westfield continues to excel as an independent school. Westfield salutes these honorees and expresses appreciation for their contributions to The Westfield School. Sixteen students at The Westfield School have earned Advanced Placement (AP) Scholar Awards in recognition of their exceptional achievement on the 2017 AP Exams. Branham Culpepper was named a National AP Scholar by scoring an average of at least 4 on all AP exams taken and scores of 4 or higher on eight or more of these exams. Three students qualified for the AP Scholar with Distinction Award by earning an average score of at least 3.5 on all AP Exams taken, and scores of 3 or higher on five or more of these exams. These students are Branham Culpepper, Hayden Hart, and Walter Kopacz. Three students, Cale Parks, Kevin Vancise, and Hayes Way, qualified for the AP Scholar with Honor Award by earning an average score of at least 3.25 on all AP Exams taken, and scores of 3 or higher on four or more of these exams. Nine students qualified for the AP Scholar Award by completing three or more AP Exams with scores of 3 or higher. The AP Scholars are Cody Bodrey, Caroline Brewer, Laura Liz Bryan, Adam Chalmers, Joshua Kinnebrew, Madelaine Kinnebrew, Garrett Rozier, Lucy Swearingen, and Nathan Szakal. Two graduating seniors at The Westfield School, Branham Culpepper of Perry and Hayes Way of Hawkinsville, are among a very select group of only 60 recipients nationwide for the University of Georgia's 2017 Bernard Ramsey Honors Scholarship. Over 22,000 students across the nation apply for freshman admission to UGA. Of those applicants, only 50 to 60 are invited to apply and interview for the Ramsey scholarship. The Ramsey Scholarship is considered one of the university's most prestigious undergraduate scholarships. As Ramsey Scholars, students participate in a community of young scholars on campus and also in service learning trips and international study abroad programs. Branham Culpepper is a National Merit Scholarship Finalist and has earned numerous academic excellence awards during his high school career including STAR Student, National AP Scholar with Distinction, Georgia Scholar, University of Georgia Certificate of Merit, Georgia Governor’s Honors Semi-Finalist, Golden Eagle Nominee, and Georgia Boys’ State Honor Graduate. He earned the state championship in spelling in the 2017 GISA AAA State Literary competition and was the 2016 region champion in argumentative essay. Branham attended the National Youth Leadership Forum in engineering and technology. An Eagle Scout, Branham has participated in many school and community activities including the Perry Youth Leadership program, math team, Beta Club, varsity cross country team, green team, culinary arts club, peer tutoring, and chess club. He is a member of Fort Valley United Methodist Church where he has volunteered in service and ministry projects. He is the son of Judge and Mrs. Bryant Culpepper of Perry. Hayes Way is a National Merit Commended Scholar, a national AP Scholar with Honor, Georgia Scholar, and the recipient of numerous academic achievement honors and awards. He was a 2016 Georgia Governor's Honors participant in the subject area of mathematics and received honorable mention for the Telegraph's Golden Eagle award in mathematics. Hayes earned first place in the Middle Georgia State University Math Olympics. He was a member of the varsity wrestling team and served as the student statistician for the varsity football team. Hayes served as a member of the academic bowl team, math team, culinary arts team, and as the founder and co-president of the chess club. An accomplished pianist, Hayes has played several times at Carnegie Hall, and also as a participant on Westfield's literary team and as the principal pianist for the Macon Symphony Youth Orchestra. He participated in the Pulaski County Youth Leadership program. Hayes is the son of Mr. and Mrs. Ramsey Way of Hawkinsville. 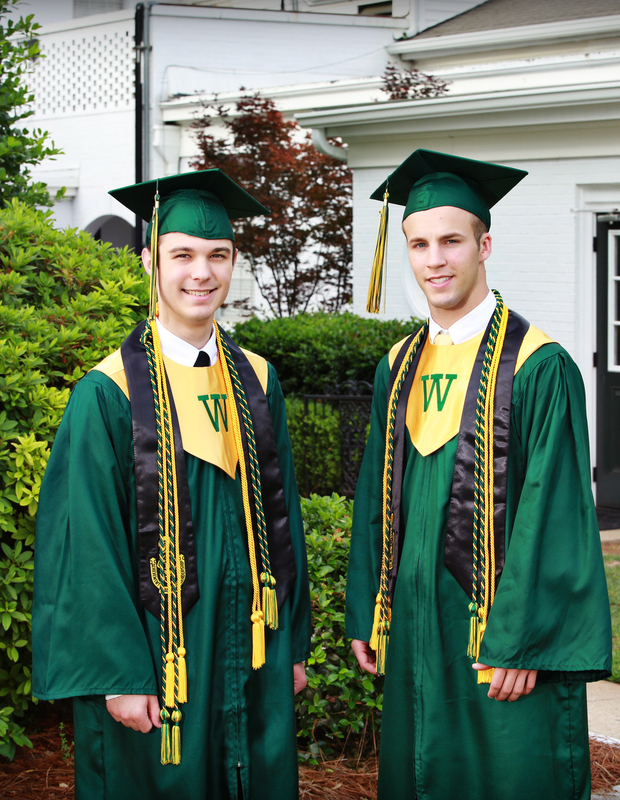 The Westfield School is pleased to award George Branham Culpepper as the 2017 Valedictorian and Joshua Todd Kinnebrew as the 2017 Salutatorian. George Branham Culpepper is the son of Judge and Mrs. Bryant Culpepper of Perry. A National Merit Scholarship Finalist, Branham has earned numerous academic excellence awards during his high school career including STAR Student, National AP Scholar with Distinction, University of Georgia Certificate of Merit, Georgia Governor’s Honors Semi-Finalist, Golden Eagle Nominee, and Georgia Boys’ State Honor Graduate. He earned the state championship in spelling in the 2017 GISA AAA State Literary competition and was the 2016 region champion in argumentative essay. Branham attended the National Youth Leadership Forum in engineering and technology. An Eagle Scout, Branham has participated in many school and community activities including the Perry Youth Leadership program, math team, Beta Club, varsity cross country team, green team, culinary arts club, peer tutoring, and chess club. He is a member of Fort Valley United Methodist Church where he has volunteered in service and ministry projects. Branham plans to attend the University of Georgia (Honors Program) as a Bernard Ramsey scholarship recipient where he will major in Economics. Joshua Todd Kinnebrew is the son of Dr. and Mrs. Todd Kinnebrew of Warner Robins. A state finalist in the Wendy’s High School Heisman Award program, Josh has served as president of the Beta Club and Key Club and also participated in the Warner Robins Youth Leadership program. He has been a member of the Student Council, FCA, math team, football team, and wrestling team, earning both a state and region championship. Josh was a member of the boys’ quartet that received first place in region literary competition and third place in state competition. During his high school years, he has earned numerous academic excellence awards including the National AP Scholar award, University of Georgia Certificate of Merit, and Golden Eagle nomination in science. A member of Houston Lake Presbyterian Church, Josh has participated in summer mission trips and as a community volunteer for Perry Volunteer Outreach, Operation Christmas Child, and Mission to the World. Josh plans to attend the University of Georgia (Honors Program) where he will major in Economics. Senior student-athletes at The Westfield School have signed letters of intent to play athletics at the collegiate level. Cole Brannen signed a letter of intent (baseball) with Georgia Southern University, Jordan Hampton signed a letter of intent (baseball) with Gardner-Webb University, Chandler Dean signed a letter of intent (wrestling) with Life University, and Logan Bracey signed a letter of intent (golf) with Andrew College. In June 2017, Cole Brannen was selected as the 63rd pick in the 2017 MLB draft by the Boston Red Sox. Cole Brannen (centerfielder) is a 2016 Under Armour All-American, a member of the Chain Baseball 17U National team, and has been named a top 10 2017 draft prospect by MLB Pipeline. He has been named as a GISA AAA All Region and All State player and played in the 2016 Perfect Game All-American at Petco Park and the Under Armour All American Game at Wrigley Field. Baseball Scoutz.com selected Cole as the number one player in Georgia for 2016. Cole earned a varsity letter as an 8th grader at Westfield. During the 2016 season at Westfield, he hit seven homeruns and finished the season with a .450 batting average. He earned the best recorded 60-yd dash (6.18 sec by laser) at the Perfect Game National Showcase in June 2016. Jordan Hampton (pitcher) is a Under Armour Pre-Season All American (2016 and 2017). He is ranked in the top 500 players nationally by Perfect Game and is ranked the number 16 right-handed pitcher in Georgia. He has been named to five Perfect Game All Tournament teams and was named Perfect Game All American Honorable Mention in 2015 and 2016. He has played for the Chain Baseball, East Cobb Astros, and Atlanta Blue Jays travel teams. Jordan was a member of the 2016 GHSA AAAAA State Champion baseball team at Houston County High School. He was a member of the 2011 Warner Robins American Little League (WRALL) All Star team which won the state and Southeast Regional championships and played in the Little League World Series in Williamsport, Pennsylvania. Chandler Dean is a two time GISA 4AAA Region Champion and a two time GISA AAA state finalist, placing second is junior year. He finished fourth in the state in GISA AAA as a freshman. Chandler was a member of Westfield's GISA AAA state championship wrestling team in 2014 and GISA 4AAA region championship teams in 2014 and 2015. He began wrestling in sixth grade and was a member of the Team Georgia national wrestling team in 2015-16. Logan Bracey has earned All-State and All-Region accolades for the varsity golf team. Logan has received numerous awards in golf. Congratulations to Westfield senior Branham Culpepper, our 2017 STAR Student! Branham chose Mrs. Pam Pierce, AP English Literature/Language Composition teacher, as his STAR teacher. Both were recognized at the Perry Area and Robins Regional Chambers of Commerce Houston County STAR Student Banquet. Branham is a member of the varsity cross country team, Beta Club, and Debate Team, and has received numerous academic achievement honors and awards. He is a national AP Scholar with Distinction recipient and also an Eagle Scout. He is the son of Judge and Mrs. Bryant Culpepper. Branham plans to attend either the University of Georgia or Davidson College and major in economics and foreign language. Seventeen students at The Westfield School have earned Advanced Placement (AP) Scholar Awards in recognition of their exceptional achievement on the 2016 AP Exams. Four students qualified for the AP Scholar with Distinction Award by earning an average score of at least 3.5 on all AP Exams taken, and scores of 3 or higher on five or more of these exams. These students are Branham Culpepper, Shannon Martin, Daniel Scarborough, and Maggie Swearingen. Two students, Hayden Hart and Hayes Way, qualified for the AP Scholar with Honor Award by earning an average score of at least 3.25 on all AP Exams taken, and scores of 3 or higher on four or more of these exams. Eleven students qualified for the AP Scholar Award by completing three or more AP Exams with scores of 3 or higher. The AP Scholars are Rachel Dixon, James Griggers, Mary Claire Kinnas, Walter Kopacz, Noah Lambert, Kavin Patel, Reema Patel, Margaret Pfohl, Unique Tuberville, Kevin VanCise, and Luke Walton. 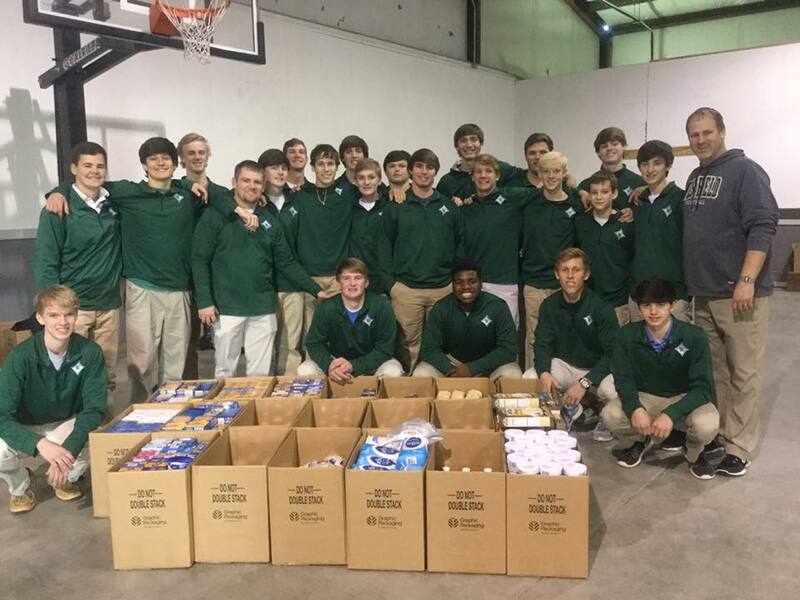 Students from Pre-K through 12 and faculty, led by our Student Council, joined together to help make Christmas merrier for children from more than 50 families throughout our community as part of the KidsGive program. Westfield and Perry Volunteer Outreach started KidsGive in 2008 as a way to help provide Christmas gifts for children. We are pleased to be a part of KidsGive! Members of the Upper School's Tri Hi Y Club shared their time and artistic talents to decorate doors of patient rooms at Summerhill Senior Living. Thank you to these members: Alex Morgan, Mary Margaret Gilbert, Amy Spillers, Caleigh Jones, Lizzie Johnson, Neeli Patel, Mary Stephens Hays, Haleigh King, Gracie Duggan, Ada Harrison, Laura Liz Bryan, Ellie Knight, Mollie Asbury Tolbert, Winter Williams, Savanna Millican, Ansley Shuttlesworth, Sophie McEntee, Lucy Swearingen, Madelaine Kinnebrew, Emily Bourque, Callie Franklin, Caroline Hays, Chanyn Chapman, Mackenzie Reed, Sara Morgan Martin, and Megan Easom. Westfield students and faculty donated over 800 cans of cranberry sauce for Perry Volunteer Outreach's Christmas meals for families in our community through a special drive organized by our school's Key Club. The 5th grade Ukulele Club and the 5th grade Art Club, along with music teacher Mrs. Deborah Walker and art teacher Mrs. Karen Ray, shared their talents to spread Christmas cheer among the patients and residents at Summerhill Senior Living. The clubs meet twice each month after school. Westfield students also volunteered at The Speech Path for their Parents' Day Out Shop and Drop on Saturday, December 10th. Because childcare is very difficult to arrange for special needs children, the Speech Path offered a few hours of crafts, games, lunch, and a movie so parents could some Christmas shopping or even just rest. Westfield students Molly Bunton, Grace Bledsoe, Gracie Johnson, and Caroline Brewer helped with the 13 children who attended the Parents' Day Out! Congratulations to our Literary Team on an outstanding day at State! Our fourth graders celebrated Patriots' Day as the culmination of their study, "Why America is Free," in social studies. Immersed in the study of Colonial America, the students learned not only the history, but also the guiding principles of this period. This hands-on curriculum not only teaches children about the Revolutionary War and the founding of our Nation, but also incorporates art, music, reading, and writing. Watch this video of fourth grade's Patriots' Day. Josh Kinnebrew, a senior at The Westfield School, has been named as a State Finalist in the Winners in the Wendy’s® High School Heisman®. A high honor student, Kinnebrew is a member of the varsity football, wrestling, and soccer teams, as well as the school chorus and boys’ quartet. He serves in Westfield’s Beta Club, Key Club, Student Council, and Fellowship of Christian Athletes and has earned numerous academic and athletic honors and awards. He is the son of Dr. and Mrs. Todd Kinnebrew. Wendy’s® recognizes high character student-athletes who have displayed excellence and integrity both on and off the field as State Finalists and School Winners in the Wendy’s® High School Heisman®. The State Finalists will go on to compete for the title of State Winner, where, for the first time ever, one male and one female student from each state will also receive a Wendy’s High School Heisman Scholarship. Each State Finalist will receive a bronze medal, a Wendy’s High School Heisman State Finalist patch and a $25 Wendy’s gift card. School Winners will receive a certificate and Wendy’s High School Heisman patch. A complete list can be found at www.wendysheisman.com/results/. State Winners will be announced on October 20, 2016, and will receive a $1,000 scholarship and a silver medal. From that group, 10 National Finalists will be selected. Their scholarship will increase to $5,000 and will receive a gold medal and a Wendy's High School Heisman National Finalist Heisman patch. In addition, the national finalists will be invited to the Wendy’s High School Heisman Weekend, including the National Awards Banquet in New York City on December 9. During the banquet, one female and male winner will be honored as National Winners of the Wendy’s High School Heisman and their scholarship will increase to $10,000. The Wendy's High School Heisman was created by Wendy's founder Dave Thomas in 1994. Dave Thomas dropped out of high school when he was 15 years old in order to work full-time and went on to become one of the most successful entrepreneurs in history. While this nontraditional path led to his prosperity, it always worried Dave that others would follow in his footsteps and expect to achieve similar fame and wealth by not finishing high school or attending college. Faced with this dilemma, at 61 years old, Dave enrolled at Coconut Creek High School in Ft. Lauderdale, Fla., and received his General Equivalency Diploma (GED). Inspired by this moment and with a desire to celebrate the outstanding achievements of youth in America, he launched the Wendy's High School Heisman program. Twenty-two years later, Wendy's High School Heisman has honored more than 600,000 of the nation's most esteemed high school seniors who share Wendy's values of giving back to their communities, treating people with respect, continuing education and excelling on the athletic field. The Wendy's High School Heisman is a joint program between Wendy's and the Heisman Trophy Trust, host and custodians of the Heisman Memorial Trophy®. 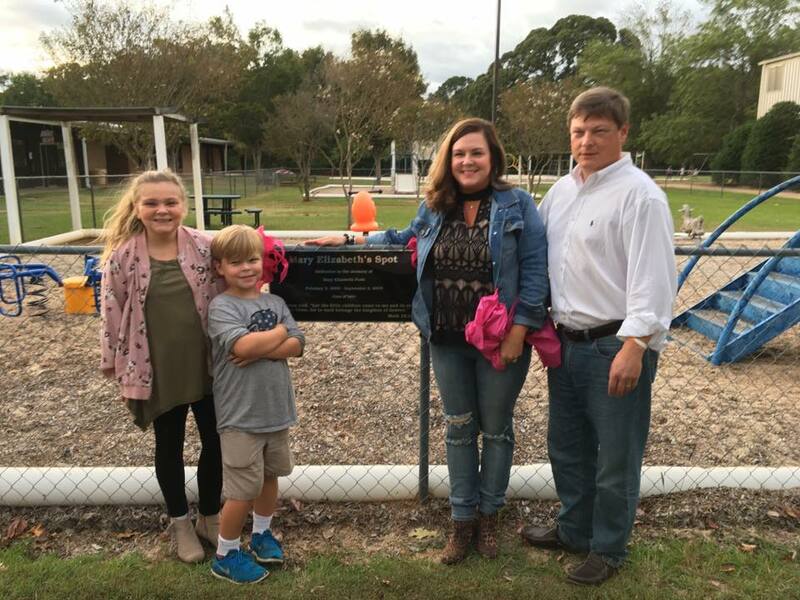 The Westfield Class of 1991 joined together to dedicate a special area of the playground as "Mary Elizabeth's Spot" in memory of Mary Elizabeth Paris, daughter of Mandi Posey Paris '91. Along with the dedication and a special pre-game prayer, a donation was made to CURE Childhood Cancer in Mary Elizabeth's name through funds raised by the Westfield Middle School Student Council. The donation was presented by Mary Caroline Crook, 8th grade student and president of the Middle School Student Council. As a part of the weekend Homecoming activities, The Westfield School Board of Trustees and the Alumni Association honored service, sacrifice, and devotion to Westfield by presenting the Spirit of Westfield Award and the Alumni Award to two deserving individuals. The Spirit of Westfield Award recognizes an individual who has made significant contributions to the school in past and present years. Because of her outstanding service, Wendi Martin was selected as the 2016 Spirit of Westfield recipient. Wendi and her family joined the Westfield community in the fall of 2005 when they enrolled their daughter Sara Morgan in kindergarten. From that moment on, Wendi eagerly sought opportunities to become involved and has graciously volunteered her time and talents to Westfield in many capacities. She has held several leadership positions within the Westfield Family Organization including Special Events Chair and President. She also serves as chairperson of the Westfield Spirit Shop. Away from Westfield, Wendi is employed with Physical Therapy Associates of Georgia and is a member of St. Luke Lutheran Church. She and her husband Tommy have two children, Sara Morgan, a junior at Westfield, and Winn, a 5th grade student. The Westfield-Beechwood-Baker Alumni Award recognizes an alumnus who continues to be immensely supportive of Westfield in addition to involvement in the community. Because of her faithful service and support, Kris Taylor was named as the 2016 Alumni Award recipient. A 1984 graduate of Westfield, Kris earned her accounting degree from Mercer University. As a Certified Public Accountant, Kris has served in many capacities within the world of accounting, including employment at Howard, Moore, & McDuffie, Bank Core, Cuscowilla, and Goodwill all before landing at Westfield in 2005. As the school’s Chief Financial Officer and Human Resources Director, Kris works countless hours to handle all of Westfield’s business, financial, and personnel needs. She is the mother of Slade Taylor, a 2013 Westfield graduate and current junior at Georgia Southern University. Thank you to our Senior Beta Club for organizing a successful 5th annual "Red Out"! 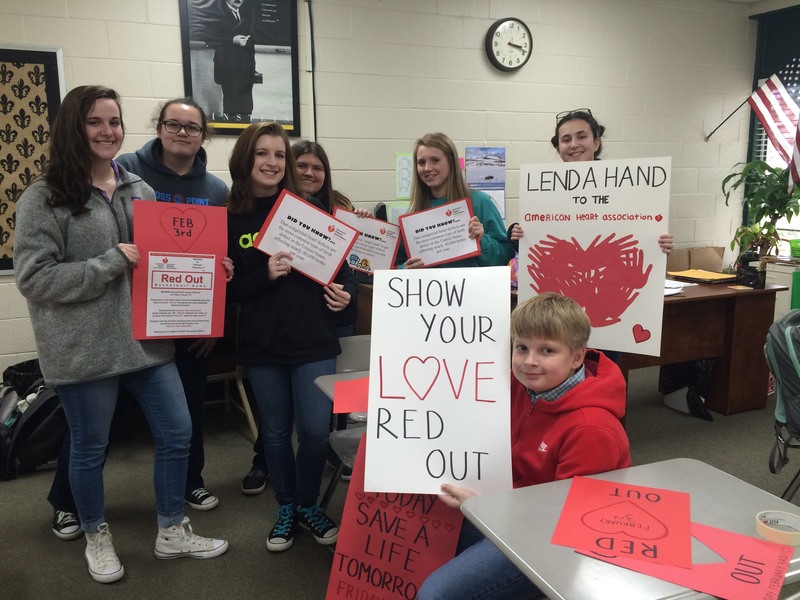 This year's Red Out raised over $1,700 for the American Heart Association. Thank you to everyone who donated toward this worthwhile cause! Special thanks to our Beta Club members who helped educate our student body on the importance of eating healthy and exercising to help reduce the risk of heart disease. Thank you also to our WFO Spirit Shop for selling t-shirts for this year's Red Out! Congratulations to this year's one act play cast and crew upon earning second place in the GISA 4AAA Region competition for their outstanding performance of Desperate Housewives of Shakespeare! By placing second, they qualify for the GISA AAA State Competition in Vidalia. Congratulations also to Gracie Johnson who received the Outstanding Performance Award at region! Directed by Mrs. Kathy Stubbs, Upper School English and drama teacher , this year's cast and crew includes the following students: Lucy Swearingen, Sophie McEntee, Gracie Johnson, Laura Liz Bryan, Madelaine Kinnebrew, Leeanna Allen, Charles Cartwright, Nate Sizemore, Luke Hartley, Caleb Cross, Madison Boire, Walter Kopacz, Cody Bodrey, Blake Green, Ellie Knight, Eva Catherine Parnell, Lizzie Johnson, and Caroline Brewer. The comedy is designed as a spoof of reality television. Six of William Shakespeare’s famous female characters grow tired of Shakespeare writing their stories. In an attempt to step out on their own, they devise a plan to get rid of the bard. The cast includes Lucy Swearingen as Lady Macbeth, Charles Cartwright as Lord Macbeth, Sophie McEntee as Cleopatra, Laura Liz Bryan as Kate, Gracie Johnson as Titania, Leeanna Allen as Juliet, Madelaine Kinnebrew as Rosalind, Luke Hartley as King Duncan, and Nate Sizemore as Detective Tremblelance and William Shakespeare.